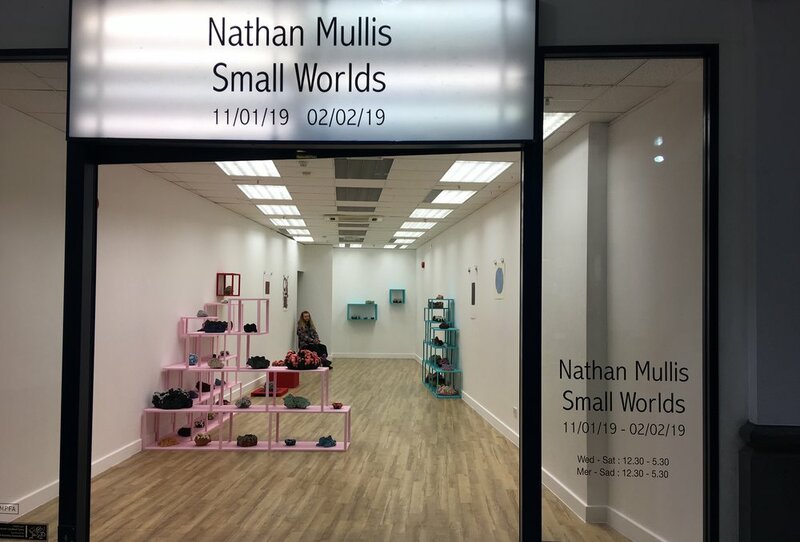 Small Worlds is a new ceramic and printmaking exhibition by Cardiff based artist Nathan Mullis displaying and platforming his recent body of work over the last few months. The small worlds concept derives from the title itself the idea of a "world within a world”. Through material exploration and installation I purpose to further the conceptual fabrication of my fictitious landscapes through play and presentation to represent the swirling junction of where my imagination, reverie and memories clash and morph to create objects where reality meets fantasy and fiction. Fantasy provides the audience the opportunity to escape into alternate realities, explore unknown, weird and wonderful environments benevolent to the one we inhabit. Fantasy in a sense is an escapism and the value of said escapism is that it provides a platform that extends beyond our reality, of which in turn allows us to reflect and look at our own authenticity and worlds realism better. Happy to announce that i have been shortlisted for zealous ceramic stories, zealous is a platform for artists, professionals and gallerists to promote, publicise and invite engagement between the arts and creativity across the globe. 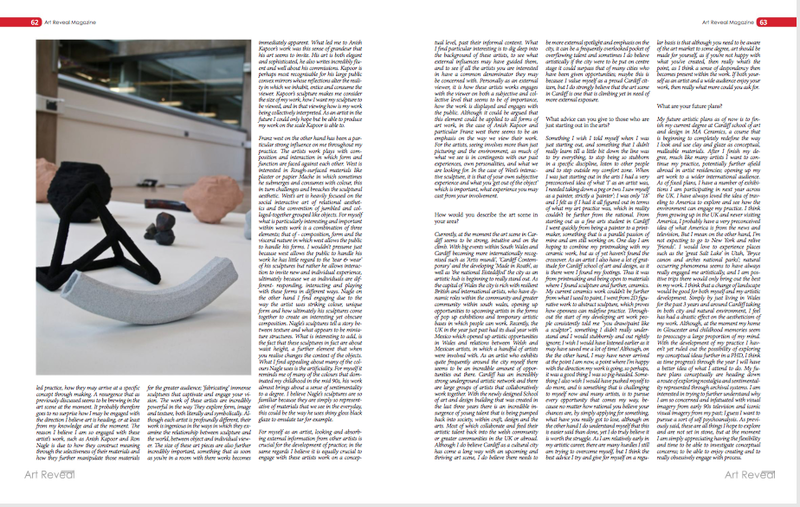 "The mission of Artaxis is to provide a peer-reviewed source of contemporary artwork in ceramics and sculpture. Utilized as a resource by instructors, students, gallerists, curators, the general public, and contemporary artists, Artaxis.org strives to promote and enrich the field, while functioning as a direct and unobtrusive conduit between viewer and artist." I am ecstatic to announce that from the 19-20th March 2018 at the centre of ceramic arts, York i will be demonstrating my new explorative practice; investigating the tension and juxuposition between vessel, texture, glaze and form. I am Happy to announce that my current body of work 'Small Worlds' will be exhibited at this years British Ceramics Biennial along with a fantastic array of artists across the UK and overseas. The show is running from the dates above and the body of work will be exhibited as part of this years FRESH prize showcasing emerging ceramic artists as part of the competition. I am pleased to announce that my body of work 'small worlds' has been selected as this years poster cover for the CSAD masters degree show. The show itself is running from 9th - 13th September. at the cardiff school of art and design campus in Llandaff wales. 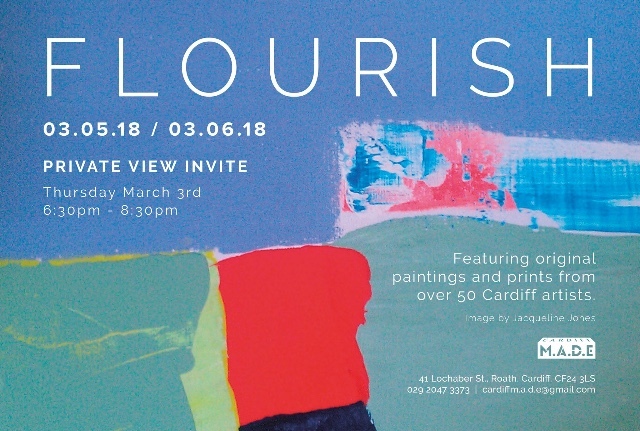 Drawing inspiration symposium held at Cardiff school of art and design in relation to the drawing inspirations exhibition at craft in the bay, Wales - demonstrating how crucial and effective different forms of drawing can be to the development of an artist and there art work . Mission Gallery has developed a reputation for dynamic and distinctive programming, to present excellence across the visual arts, applied arts and craft, from across Wales and beyond. For this Graduate Showcase, work will be selected from various degree shows around the UK and New Designers. Focusing on artists, makers and designers who have showcased excellence within their specialised field; highlighting those that are pushing the boundaries of traditional concepts and ideas, blurring the lines between disciplines and celebrating art and craft in all its forms.